NEW YORK (Reuters) - Amazon.com Inc shares see-sawed on Thursday as investors questioned how the impending divorce of company founder Jeff Bezos would affect his control of the most valuable company on Wall Street and its ambitious expansion plans. Bezos, whom Forbes lists at the world's richest person with an estimated $136.2 billion, said via Twitter on Wednesday that he and his wife of 25 years, Mackenzie, will divorce. 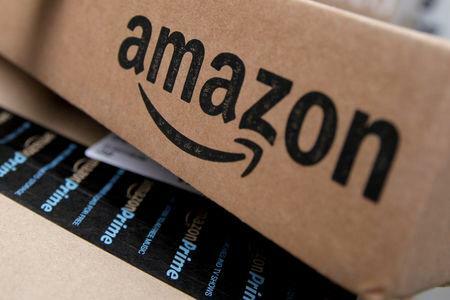 Amazon shares were flat in midday trading on Thursday after spending most of the morning down slightly. 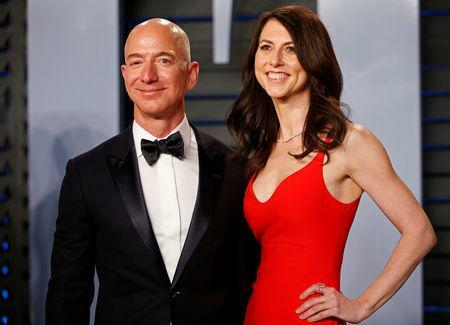 The split throws into question how the couple will split their fortune, which includes an approximately 16 percent ownership stake in Amazon's roughly $811.4 billion market capitalization. Divorce laws in Washington state, where they live, hold that property acquired during a marriage is generally divided equally between spouses.